UFC 135 results: Jon Jones defeats Quinton "Rampage" Jackson via submission (rear-naked choke) at 1:14 of round 4. UFC 135 results: Josh Koscheck defeats Matt Hughes via knockout (strikes) at 4:59 of round 1. UFC 135 results: Mark Hunt defeats Ben Rothwell via unanimous decision (29-28, 29-27, 30-27). UFC 135 results: Travis Browne defeats Rob Broughton via unanimous decision (30-27, 30-27, 30-27). UFC 135 results: Nate Diaz defeats Takanori Gomi via submission (armbar) at 4:27 of round 1. UFC 135 results: Tony Ferguson defeats Aaron Riley via TKO (doctor stoppage) at 5:00 of round 1. UFC 135 results: Tim Boetsch defeats Nick Ring via unanimous decision (29-28, 29-28, 30-27). UFC 135 results: Junior Assuncao defeats Eddie Yagin via unanimous decision (30-26, 30-26, 30-27). UFC 135 results: James Te Huna defeats Ricardo Romero by TKO at 0:47 of the 1st round. UFC 135 results: Takeya Mizugaki defeats Cole Escovedo via TKO (strikes) at 4:30 of round 2. UFC 135: Jones vs Jackson | - This gonna be a real showdown for their UFC Championship lightweight title shot this coming Saturday September 24 2011. 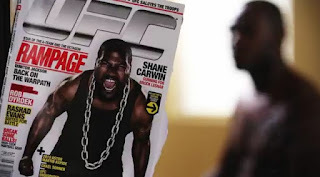 Quinton "Rampage" Jackson will takes on the current UFC light heavyweight Champion Jon "Bones" Jones. Jackson wants his belt back but Jones wants to fight crime and not on competitor. 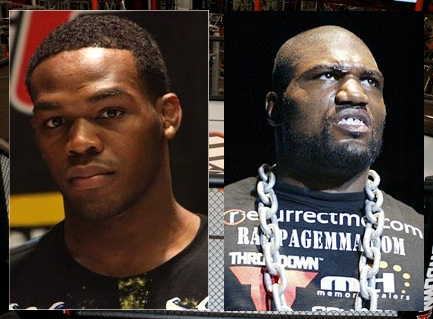 There maybe no underdog for this fight as the two in the same race and both warriors are hungry of that fight. 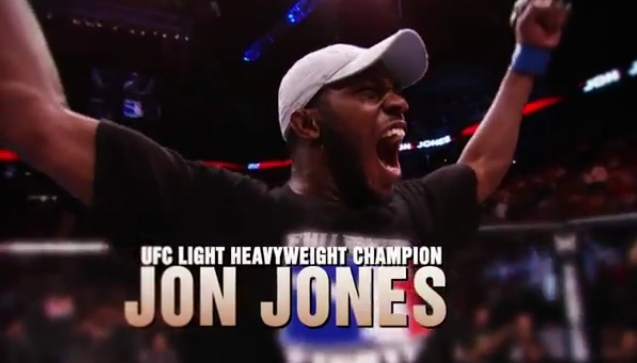 Jones will test his athleticism as he face the mad-like Jackson "awoooo" style. Both men respect each other's view during their conference and this will be a huge battle for the two - the fight for the future style of UFC and the old style where Jones and Jackson snapshot that fighting style respectively. 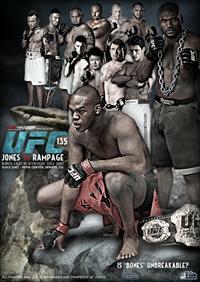 Can you predict the winner fight results of this UFC 135 main event: Jones VS Jackson? 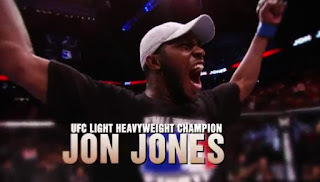 Is it Jones via TKO? Or Jackson via TKO? Or it will handed down to judges score cards' unanimous decision for the two? Note: This page will be updated soon after the UFC 135: Jones Vs Jackson fight results about who's gonna be a winner of this fight. A video replay will be optional to post. Below are the main card odds as well as a list of the preliminary fights for UFC 135. For the Philippine TV broadcast, ABS-CBN will show the fight at 10:30 pm local time on Studio 23 Sunday September 25. You can watch that on live through internet free streaming on the said date and time (Philippine local time and date) copy or click @ http://pinoy-thinking.blogspot.com/2011/05/studio-23-live-streaming-pinoy-tv-watch.html .